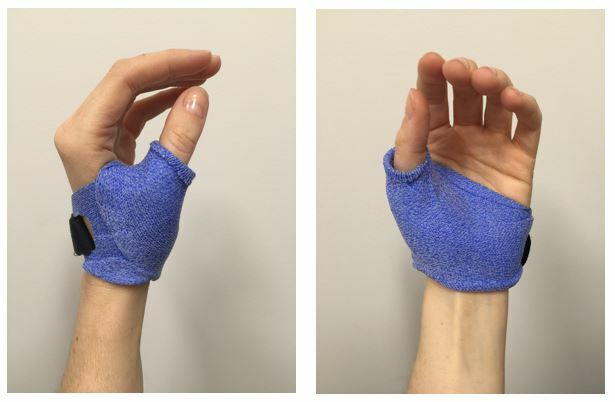 The information below has been created by Damien Silvester and Amanda MacKillop, hand therapy specialists at Otto Bock Australia, our distributor in Australia. They use it as a handout suggesting Orficast alternatives to thermoplastic splints of the hand and finger. 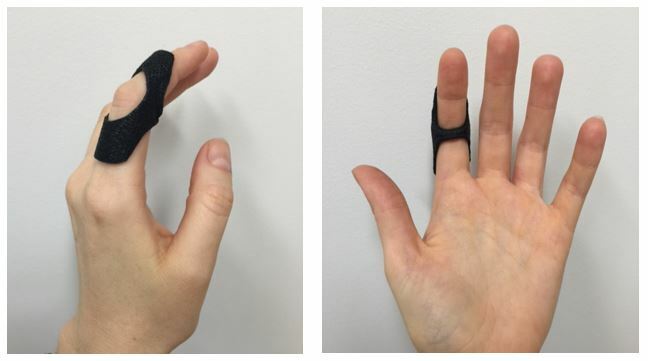 Increase overlap of the Orficast to increase rigidity of the splint. Clinical applications: Relative motion bar for extensor tendon repair, as per Wendell Merritt tendon repair protocol. Dry heat to attach velcro and loop. 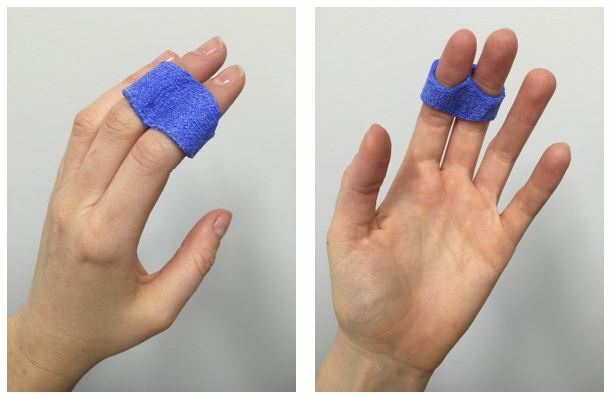 Clinical application: for bony or tendinous mallet finger injury, post operative or conservatively managed. Wrap doubled Orficast around finger, pinch edges along the lateral border of the finger to bond, and trim to shape. Clinical applications: PIP joint volar plate injuries where blocking full extension is required; correcting swan neck deformities. Dip to roll edges of splint. 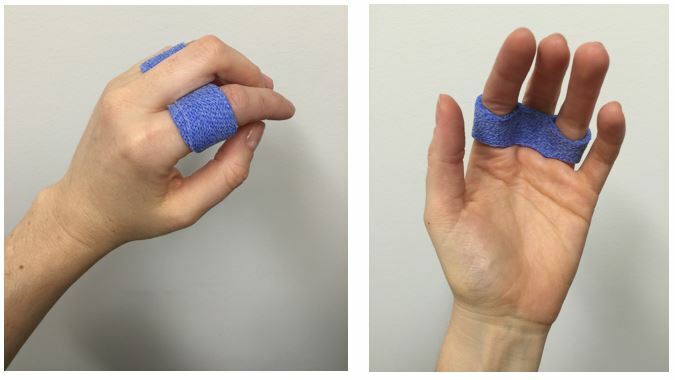 Clinical applications: 1st CMC joint osteoarthritis, proximal phalanx fracture, MCP joint collateral ligament injury, any injury to the thumb requiring immobilization of the CMC and MCP joints. 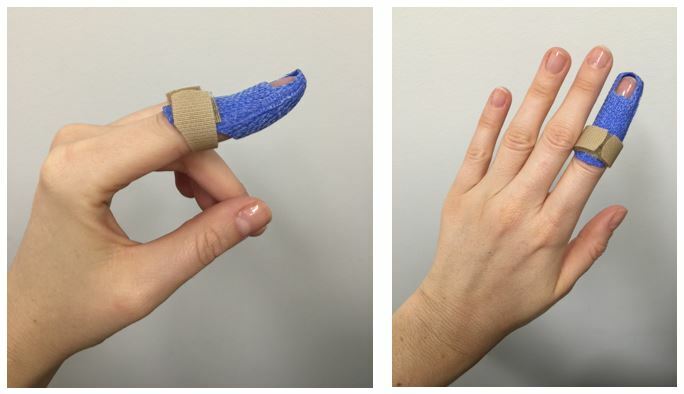 50% overlap, applying distally to proximally along the finger. Clinical applications: serial casting for PIP joint extension to correct fixed flexion deformity, immobilization of the PIP joint. 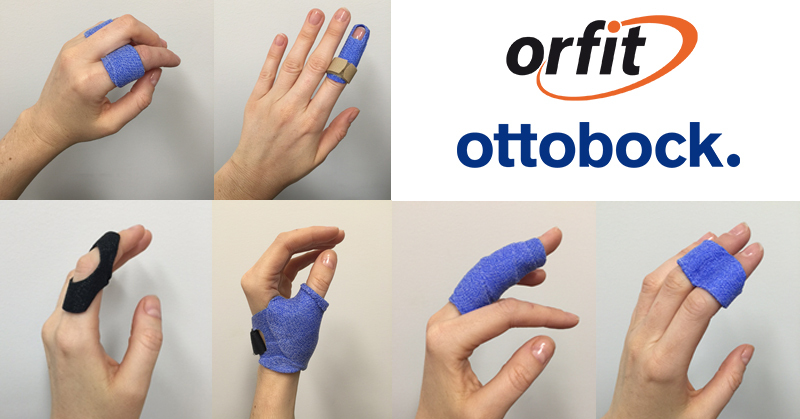 Increase overlap of the Orficast to increase the rigidity of splint. Dry heat to further seal edges, and trim to shape allowing for IP joints to flex completely. 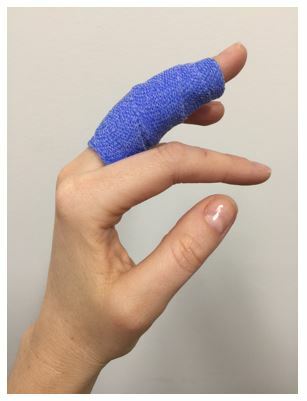 Clinical applications: protect MCP or PIP joint collateral ligaments from lateral stress, rigidity of this buddy splint also assists with mobilizing the injured finger when buddied to an uninjured finger. You can find all information about Orficast on our website.